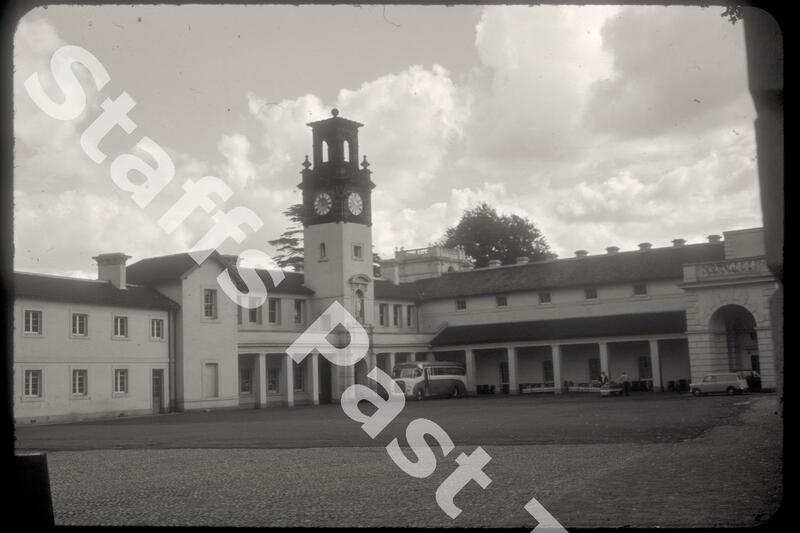 Description:The back of the Trentham Hall. The sculpture gallery is on the right with the estate clock tower in the centre. 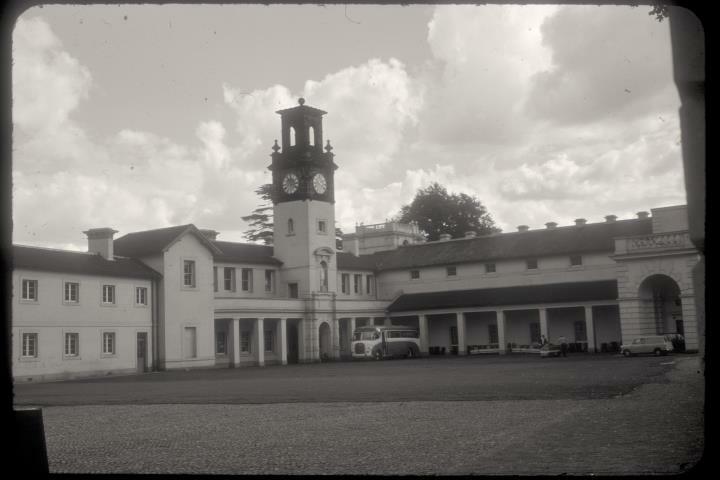 In the foreground is part of the original hall courtyard and riding school. This was the last part of the Hall to be completed, between 1841 and 1850. A Bedford SB coach, the diesel hauled garden train and a minivan make up the transport.